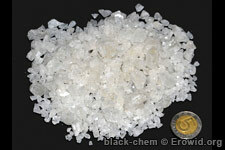 alpha-PVP is a synthetic euphoric stimulant with a short history of human use. Its dose, effects, and duration are similar to those of MDPV. Chemically, it is a synthetic cathinone, and first became popular in the US in 2013.